Wow! I love how you used your die cuts here!! Your beautiful bow and ribbon just set them off perfectly!! Merry Christmas to you and yours special lady! What a fabulous design! 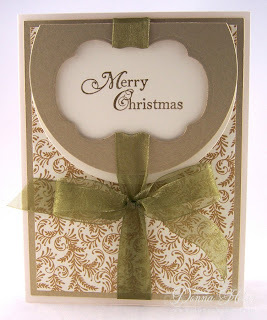 Gorgeous design paper and ribbon. wow what a very elegant christmas card. this is gorgeous, your cards are fabulous...have a wonderful week! Very pretty, Donna! The ribbon and die cut opening is just gorgeous. So pretty. 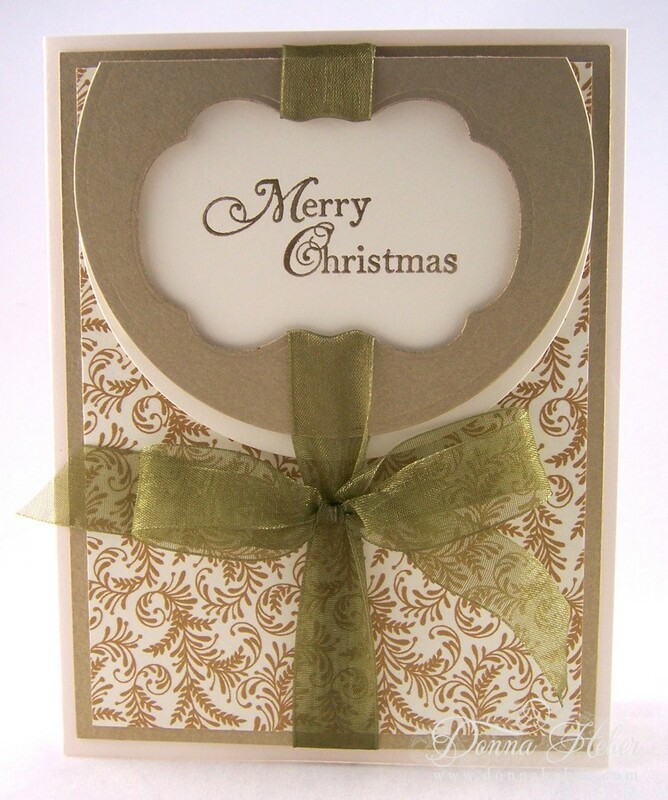 Another beautiful and elegant Christmas card! Love your DSP and layout! Ooohhh, this is very elegant, Donna! It's beautiful! Well worth the time you spent figuring out the ribbon treatment, it is perfect !